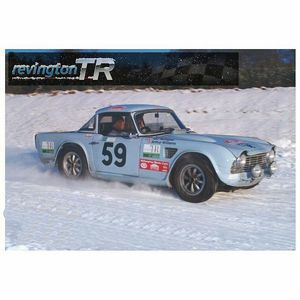 The gift of a Revington TR gift voucher will meet every TR owners needs. The voucher can be redeemed against web or counter sales. This Gift voucher is non refundable. It cannot be redeemed for cash and cash will not be offered as change if only part used. Valid for 12 months after the date of purchase. For security reasons, when purchasing, if you wish to give the voucher personally please state the name of the person who will redeem the voucher, this is to stop fraud. Vouchers are available valued £5, £10, £25 and £50 including VAT. Choose the one you want and purchase it as if it were a car part. The voucher can be downloaded and printed by clicking on the 'Product Data Sheets' tab and clicking the link in blue entitled 'Gift voucher RTR'. A member of Revington TR staff will email you an invoice number and a voucher number which you can add to the voucher yourself along with the amount and who it is from and who is receiving it. We will have recorded the voucher number, invoice number and the value so that when it is redeemed we can validate it.